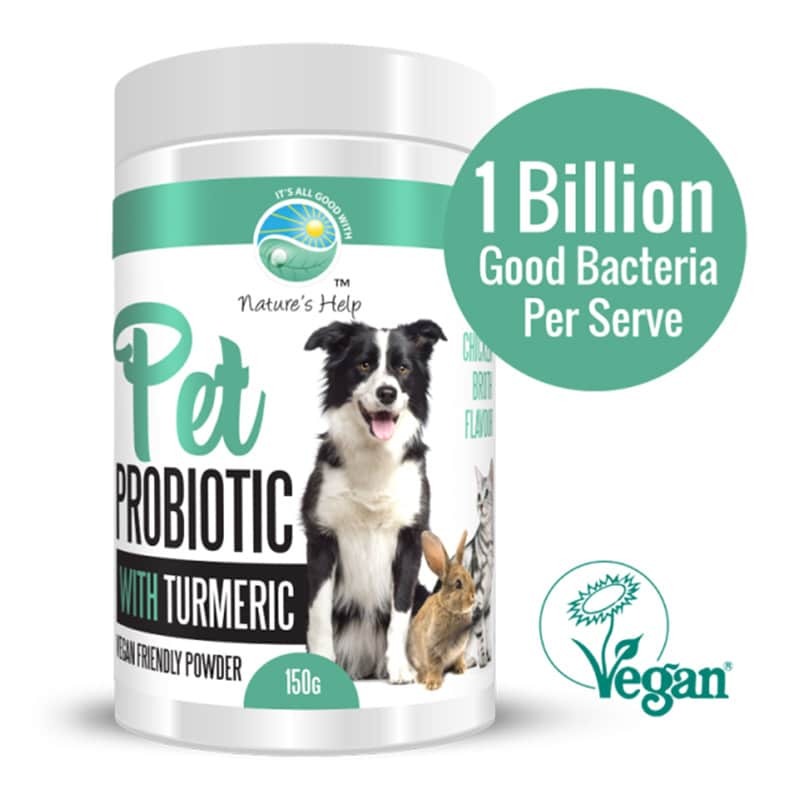 Nature’s Help Pet Probiotic with Turmeric contains the goodness of both prebiotics and 1 Billion Lactobacillus acidophilus, Probiotics (good bacteria per serve) with a delicious brothy chicken flavour that is vegan-friendly. What a lot of people are starting to realise is that turmeric is great for our pets as well. That’s right, whether you have a dog, cat, horse, goat, bird or alpaca, all our furred and feathered family members can also benefit from a daily dose of Turmeric. Australian Veterinarian is a huge advocate for Turmeric for animals. “I, as a Veterinarian, have been using Turmeric successfully for years with animals to control inflammation and pain in itchy skin conditions like allergy, atopy, arthritis, infections, age degeneration and various cancers”. Veterinarian owner of Casuarina Seaside Vet in NSW, has seen the benefits for turmeric for animals as an anti-inflammatory and for general health and wellbeing first-hand with her beautiful Cocker Spaniel, Goonie. His daily food contains Turmeric, which he loves the taste of, and is seeing him through his senior years. Adaptable for other animals depending on size. Dogs, in particular, can go through a body detox and if you start to see signs of loose stools, you can increase the amount of oil in their food to help absorption in the small intestine rather than passing into the large intestine. If you do notice any symptoms of diarrhoea or nausea, lower the dose by ½ for a few days. If symptoms persist, do not continue giving your pet turmeric and seek advice from your preferred vet.